The largest city and capital of Cyprus Nicosia is located near the center of the Mesaoria Plain and sits on the banks of the Pedieos River. It is a main business center. There are many interesting things to do and see here including ancient walls and great museums. Officially the city is known as Lefkosia. It counts as the “last divided capital” since Northern Nicosia is governed by the Nicosia Turkish Municipality. 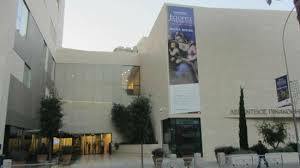 Found in the New City AG Leventis Gallery is an art museum that opened its doors in 2014. Here you can see displays of European paintings and sculptures from the 16th to the 20th centuries. This museum is divided into three sections – the Paris Collection features the art work of Chagall, Monet and Renoir, the Greek Collection has the art works of Greek artists from the 19th and 20th centuries and the Cyprus Collection highlights a 17-meter painting titled “The World of Cyprus” painted by renowned Cypriot artist, Adamantios Diamantis. All of the art work on display comes from the private collection of the late Anastosios G. Leventis, who was a wealthy Cypriot businessman and philanthropist. Art work also comes from the AG Leventis Foundation. The Cyprus Museum is found opposite the Municipal Gardens and is home to the best collection of archaeological finds in Cyprus. There is an interesting display of terracotta votive statues and figurines that were found in Northern Cyprus in 1929. There 2000 figures date back to the 7th and 6th centuries B.C. Other highlights include a collection of three limestone lions and two sphinxes that were found in the Tamassos necropolis south of Nicosia. You can also delight in the famous Aphrodite of Soli statue and a huge bronze statue of Emperor Septimus Severus as well as the lovely mosaics Leda &Swans and displays of golden objects. Of interest are the Venetian Walls that create a border around the Old City. They date back to 1567. 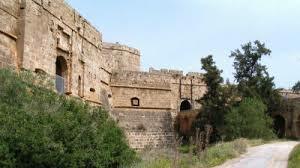 The circular defense wall was built by Venetian rulers to keep back Ottoman invaders. These walls and the moat around Nicosia are in great condition. They are used to provide parking spaces and venues for outdoor concerts. People also enjoy coming here for leisurely walks. You can get a great view of the city from Shacolas Tower Observatory which odd as it may seem sits atop of the Debenham Department Store. 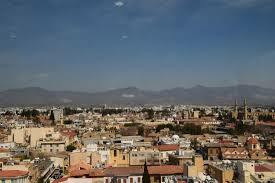 Here you can observe Nicosia through telescopes and get great views of the mountains in the distance. The Liberty Monument is located near the mosque on the Podocataro Bastion. It represents the Greek Cypriots’ liberation from the British colonial powers. 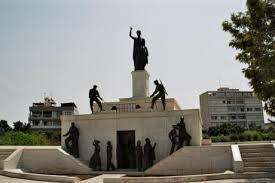 It includes the figures of 14 EOKA, National Organization for the Cypriot Struggle fighters being released from prison in 1959, alongside peasants and priests that represent the various strata of Greek Cypriot society. The largest collection of folk art and ethnography can be found at the Ethnographic Museum. The collection is housed in a building that dates back to the 15th century with some additions made through the years. Here you can see displays of embroidery, lace, costumes, pottery, metalwork, basketry, folk painting, engraved gourds, leatherwork and woodcarving. Visitors enjoy seeing Famagusta, the easternmost gate. 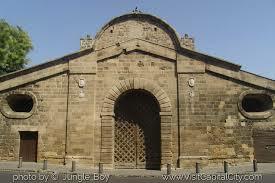 This is the best-preserved of the three original gates that once led into the Old City of Nicosia. There is a most impressive wooden door and a sloping façade that opens out into a tunnel leading through the rampart wall. There is a small open-air arena where summer concerts are held. 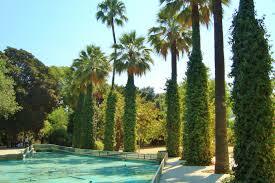 For relaxing and casual strolling in nature visit the Municipal Gardens located right in the center of the Old City. Here you will find ponds, lots of shady trees and place to sit and relax. There is also a large children’s playground.